Held over several Saturday afternoons at the Jazz and Blues Club in Pt Chevalier the competition for school Jazz Bands was one our music groups relished. 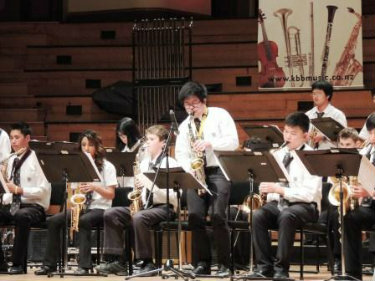 We had three groups enter across 2 categories; in the Jazz Combo category the Lynfield College Jazz Combo and the Lynfield College Fusion ensemble, and in the Big Band category the Lynfield College Big Band. All three of our groups made it through the heats and into the finals where the top four bands in each category performed for awards. Our Big Band won that category gaining a platinum award and our Jazz Combo won a gold award in the jazz combo category with the Fusion Ensemble winning a silver. The image shows the musicians with their awards.